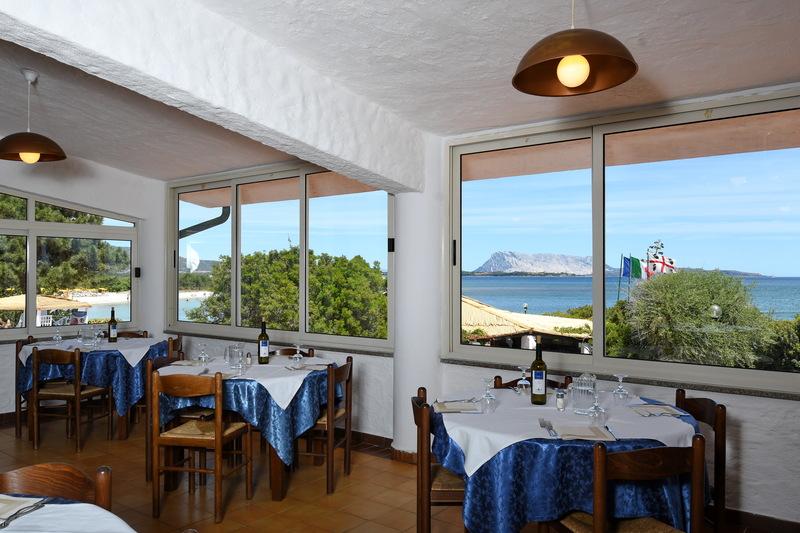 The hotel is near the centre of San Teodoro, directly on the seaside, at the Cala D’Ambra beach bay. 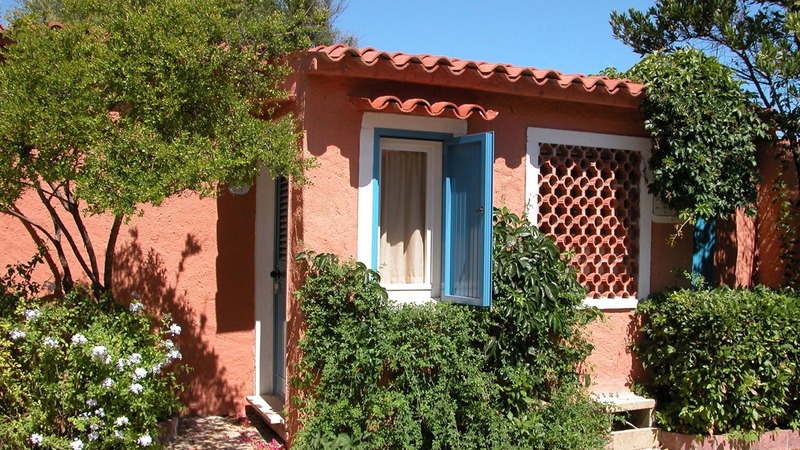 The hotel is sorrounded by trees and enclosed with the typical mediterranean vegetation. 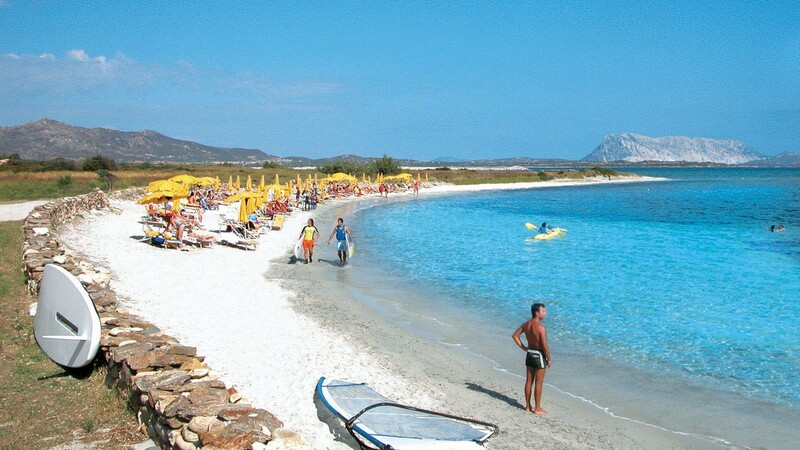 It is constituted by a central zone near the sea, where are situated all the main services, and by a serial of small buildings where are located all the rooms, which are enclosed with a green zone decorated with plants and coloured flowers and all connected by stone plaths. The Village The Village has also an outdoor Theatre for beautiful evening shows, a large area near the beach for sport activities, a shadowy playground for children Diving Center on the private small dock, two swimming polls one for adults and one for children in front of the small sandy and pebbly beach, which stretches for by 200 mt. The Treatment Soft-Inclusive includes Full Board, meals and drinks included (bottle of local wine, water and soft drinks from the automatic machine); breakfast, lunch and dinner servede at buffet in the sea view restaurant (unassigned and non-reserved tables). In the morning,when the restaurant is closed, breakfast will be served until 12.00 pm at the Beach Bar with brioches, croissants, coffee etc. Open bar during the day at the Beach Bar (8.30 am-24.00 pm) with unlimited drinks and tasty snacks (not included: drinks in bottle, ice creames, coffees). Rooms are usually on the ground floor, well-furnished with ethnic pleasant design. The rooms are divided into Family-, Superior-, Standard- and Mini Superior room. Good food, kindness and relax are guaranteed! Amazing island, very nice place and resort, simple but very good accommodation, clean and appropriate bungalows, helpful and smiley staff (especially in the restaurant), great coffee at the bar, very tasty food in the restaurant. 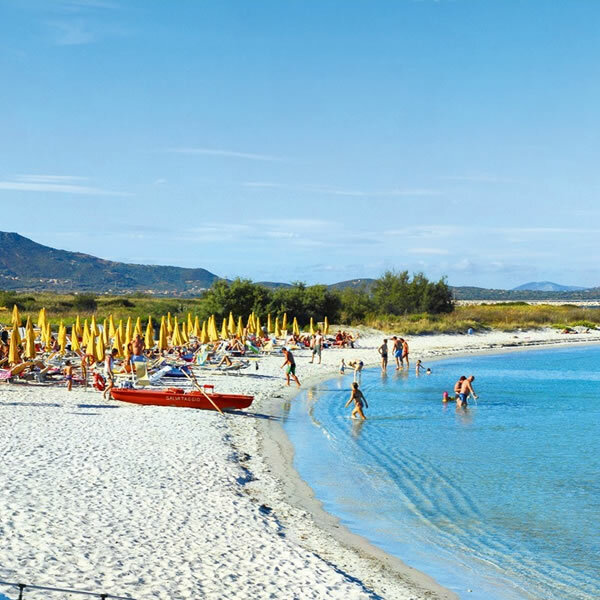 We did not try the pool as the beach is very near, the beach is quite small it was enough for the people in the resort (we were there in May), fantastic beach is in the San Teodoro. We have just returned from a week here and absolutely loved it! Very family friendly, clean spacious rooms and lovely food. When we arrived we asked if we could change our room a bit closer to the pool and there was no hesitation at all from the brilliant reception staff. The hotel is quite rustic and an excellent location. Its very peaceful even with children around. I would highly recommend the stay here and will be going back again great holiday!